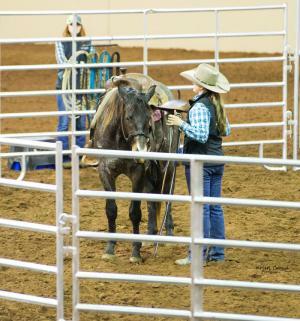 For the fifth year, the 2019 Southern Equine Expo, held at Tennessee Miller Coliseum in Murfreesboro, Tenn., included the Colt Starting Challenge. 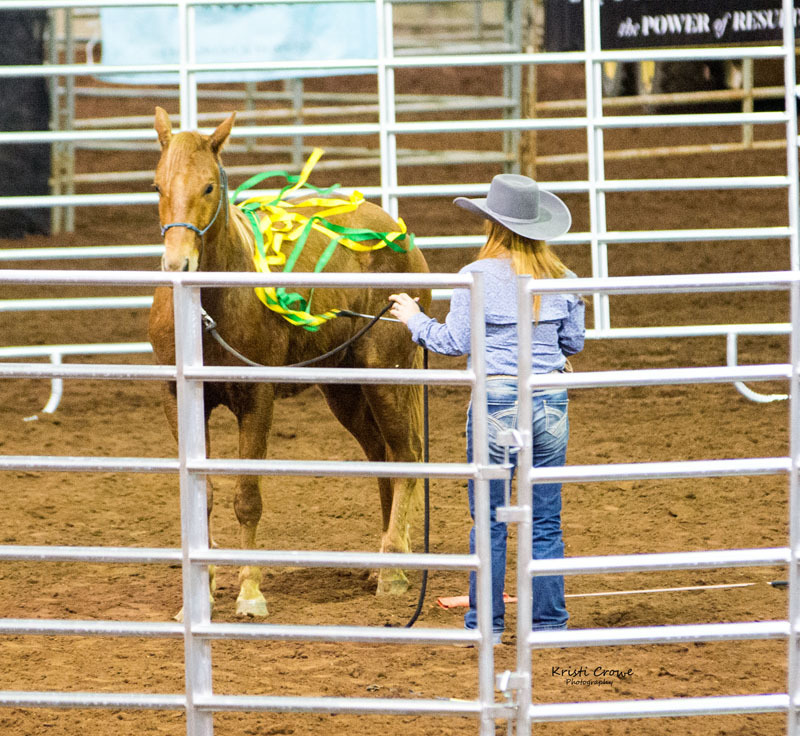 And for the third year, the three-year-old horses for the challenge were provided by (and sponsored by) the Lost Creek Cattle Company, located in Lebanon, Tenn. Judges for this year’s Challenge were: Sam Powell, Ty Evans, and Perry Neal. 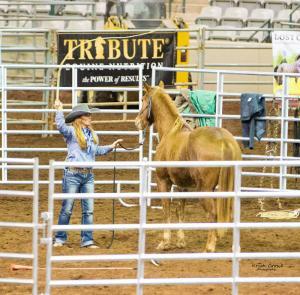 Horses in the challenge are offered for sale at the conclusion of the Expo, along with other horses from Lost Creek. 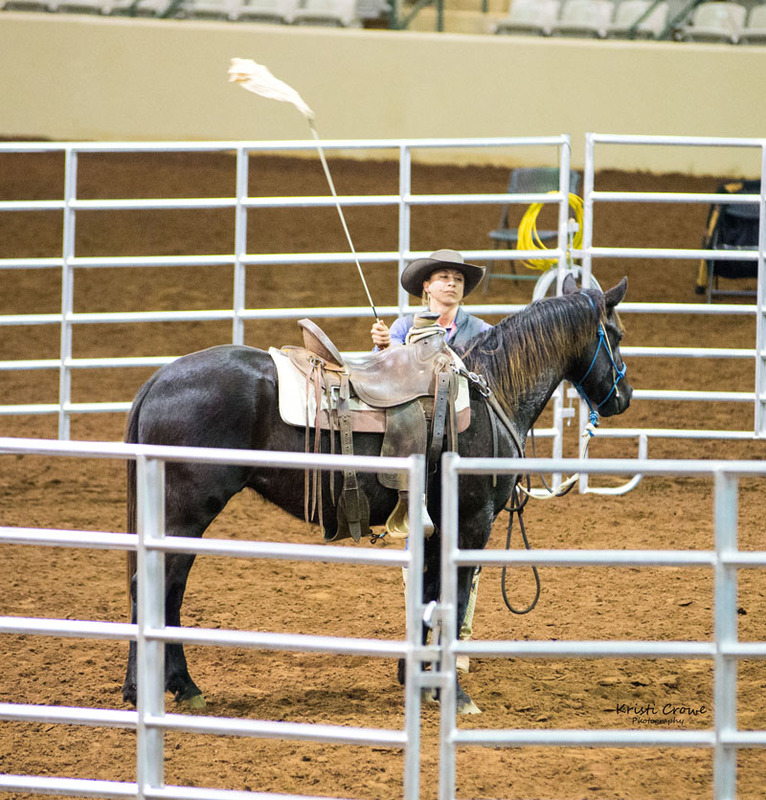 The contestants are chosen by the organizers of Southern Equine Expo for their ability to start and train young horses, using proven methods by world renowned horsemen and horsewomen, while also applying their own special touch. This year’s all female contestants were Leisha Griffith from Graham, North Carolina, Miranda Lyon from Whitesboro, Texas, and Mary Kitzmiller from Kemp, Texas. 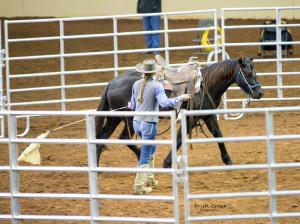 Leisha Griffith was in the first round pen. 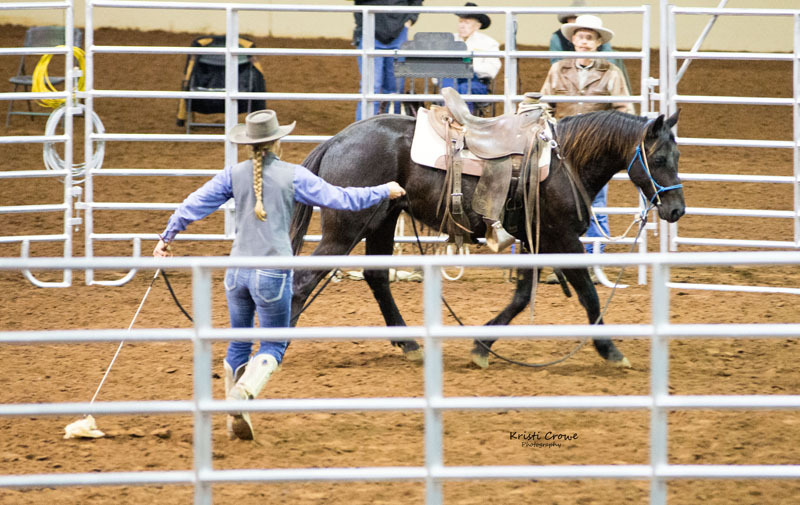 Having completed 10 to11 colt starting challenges, Leisha wanted to make sure she had some good ground work done on her gelding before introducing the saddle. 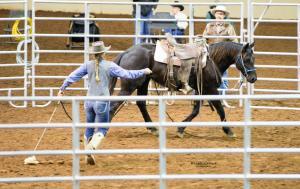 The colt was good with Leisha on his left side, but not the right side. She spent some extra time on his right side to balance him and work both sides. 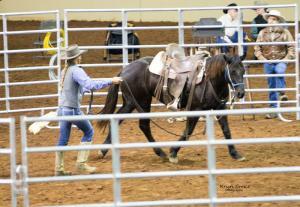 When asked about working with the gelding after the first round, Leisha said “I enjoyed working with him a lot. 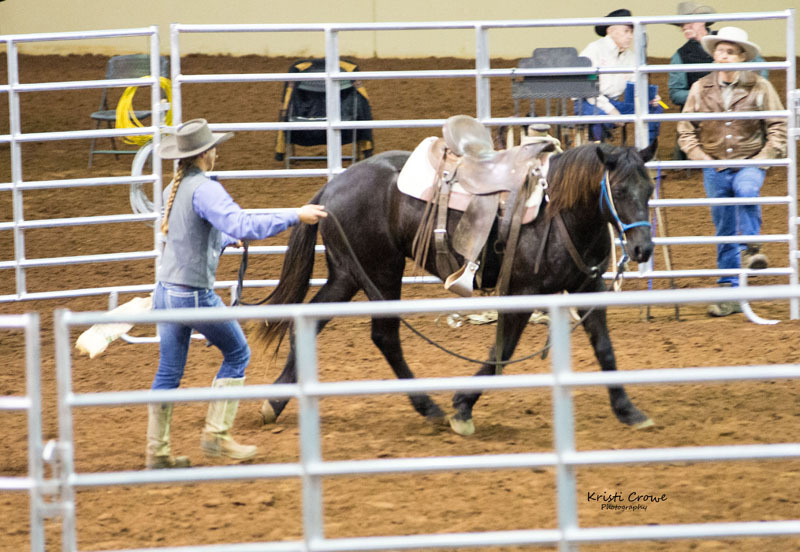 They all bring something different to the table and I approach each one differently.” Leisha has been training professionally for about 20 years and was happy to have the opportunity to participate this year. Mary Kitzmiller and her gelding were in the third round pen. 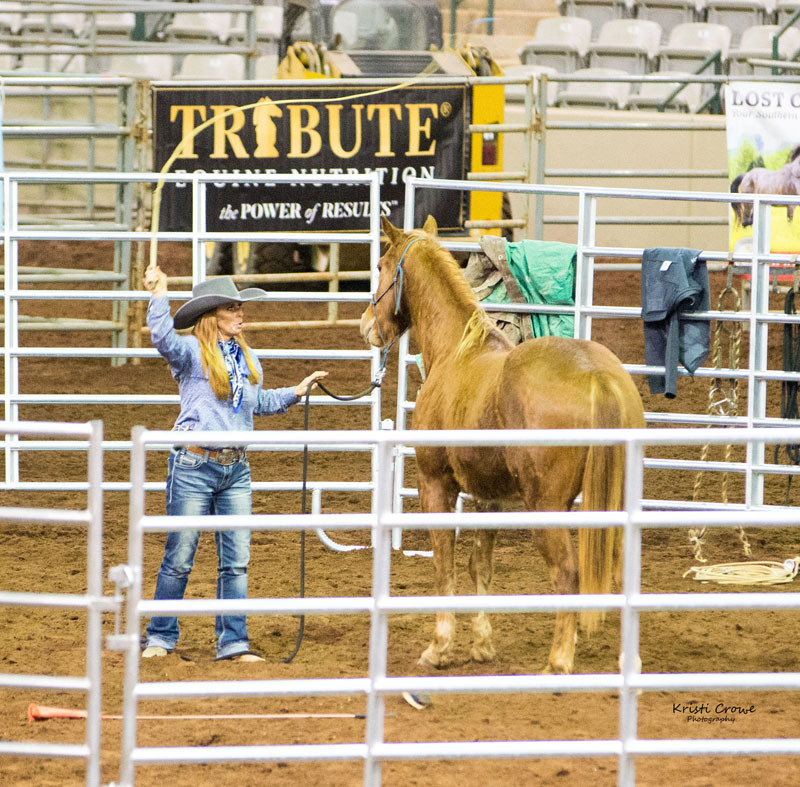 A professional trainer since 2006, Mary has worked with leading professionals in the horse industry. Mary is passionate about sharing her knowledge with the public through lessons, demonstrations and clinics. 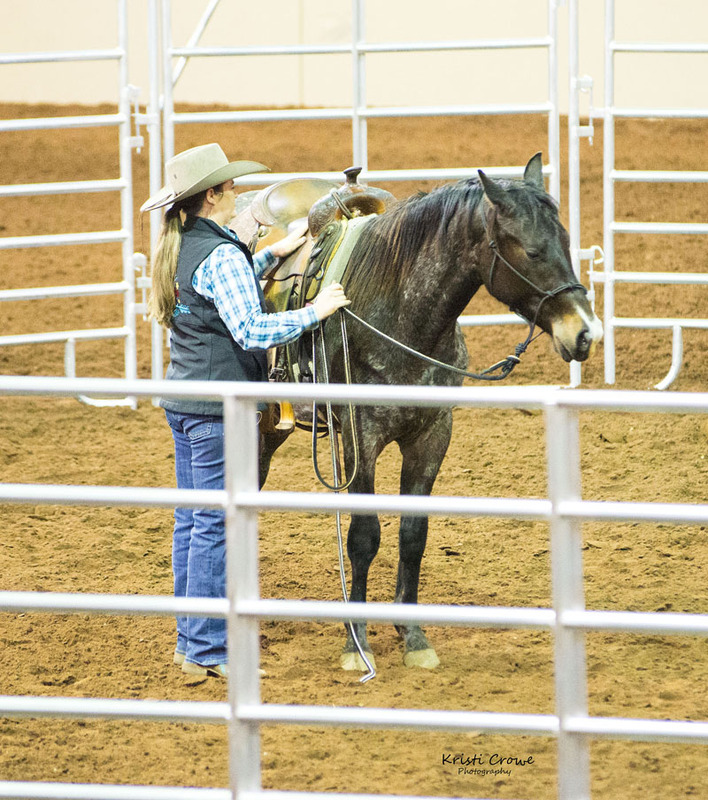 Her horse was “very curious, very interested in learning, and ridiculously quiet,” she commented. 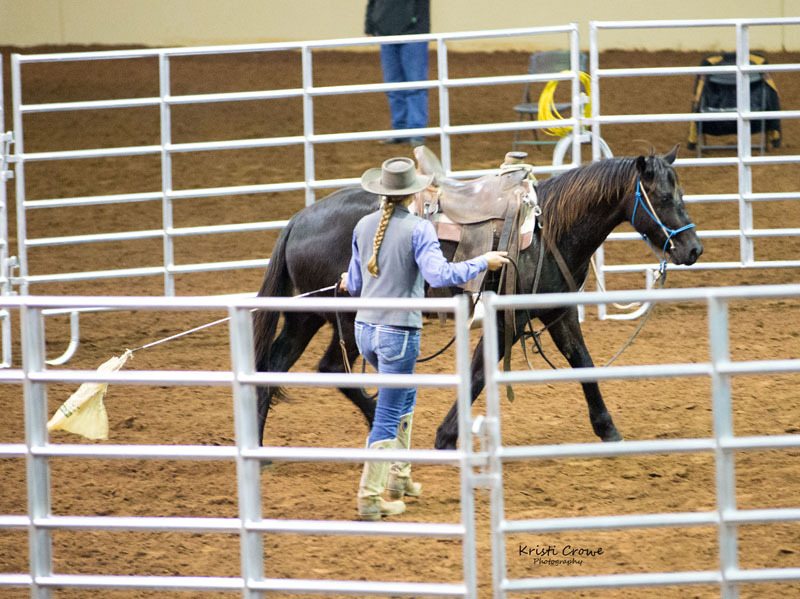 “He is just a big goofy gelding.” However, since he is used to people, he had a short attention span and a tendency to ignore her. In this regard, Mary enjoys working with Mustangs. 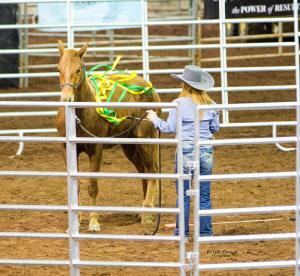 In a way, she says, a Mustang is easier to train because they want to face the trainer and give you a lot of focus. A Mustang will catch onto the release quite well. 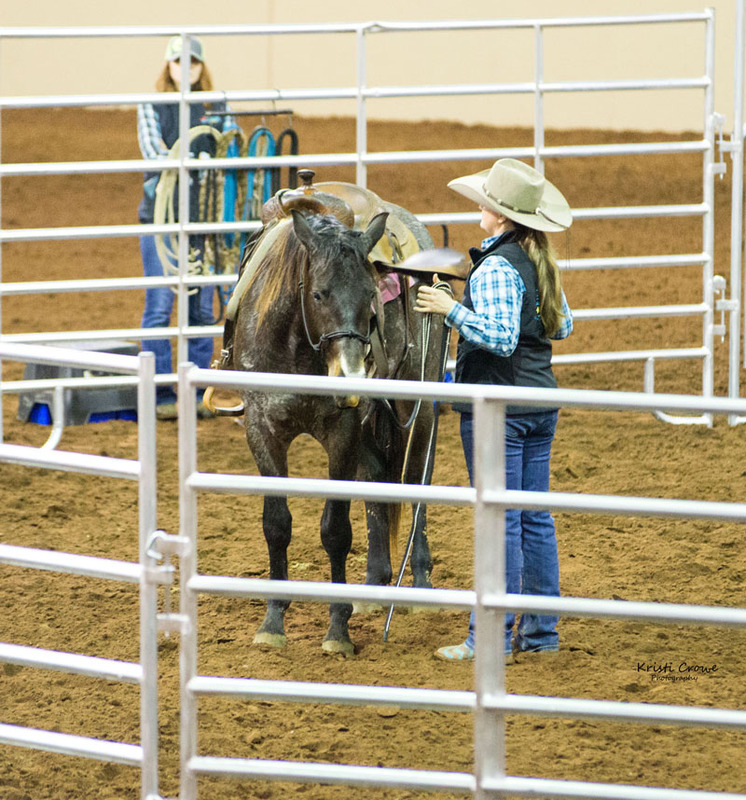 However, the horse she was working at the challenge, being used to people, reacted like, “you gave me release, fine, I’m going over here now.” ‘Follow the Horse’ is Mary’s key element in horsemanship. 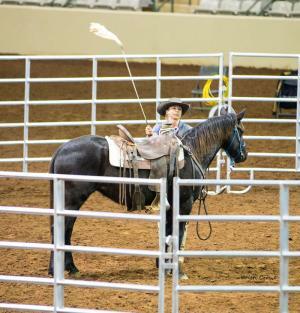 At the end of the weekend, Miranda Lyon was awarded the buckle for winning the 2019 Colt Starting Challenge.